Years ago I came across a documentary special about Elephants, the kind of late night viewing that you stumble upon and in your tired stupor become absolutely fascinated by. The one moment that stood out was an extended emotional sequence where a group of Elephants ritualistically dug up the remains of their dead ancestors and touched them, passed them around, mourned them. This image has always had some resonance for me and maybe never more so than as I viewed Alexander Payne’s masterpiece The Descendants. Like those Elephants, the dead only have a life now inside the living that mourn them, think about them, or spend their time going to visit them. The Descendants is a deceivingly un-frothy throwback to a long dead era of cinema where art and commerce were bridged with ease, many a mainstream blockbuster packing sophistication within the fabric of very watchable plots. Payne cleverly doesn’t mask the sadness of his themes in humor but instead uses the comedy just as another tool to explore the many emotional textures that life’s wildest circumstances can offer. Matt King is a wealthy Hawaiian land baron in the midst of a sale that would turn his last bit of inheritance into a shopping mall but in the process make him and his cousins very, very rich. Suddenly, everything changes when his wife, Liz, is in a boating accident that leaves her in a coma. When Matt learns that she won’t be waking up, he is faced with the difficulty of telling his pre-pubescent and angry daughter, Scotty, and his blossoming late teen daughter, Alex, the news of their mother’s death. One revelation brings about another when Alex tells Matt that Liz has been cheating on him. Matt does what any self-respecting man would do, he whines, wallows, and chases his wife’s lover all around Hawaii. This plot lays the groundwork for the light and enjoyable comedy that marketing for the film so unabashedly purport. Unfortunately, for viewers expecting comfort, Alexander Payne hits you with virtually every spiral of human emotion possible, spinning a successfully heart-wrenching show that leaves hope only in the leftovers from the torment around us. George Clooney has never been better as Matt King. Much will be said about how schlubby and normal he is but those superficial elements only tell a small portion of the story. As Matt, Clooney must wear his emotions close to his heart within the body of a very closed-off and distant man. To make matters worse, he must face the humiliation of a cheating wife who is now dying. How does one be angry at the person they love, knowing that this person will never wake up again? It’s a shocking paradox that keeps Clooney twisted into silent knots that are off-set only by the barest and exhaustive moments of minor outburst. 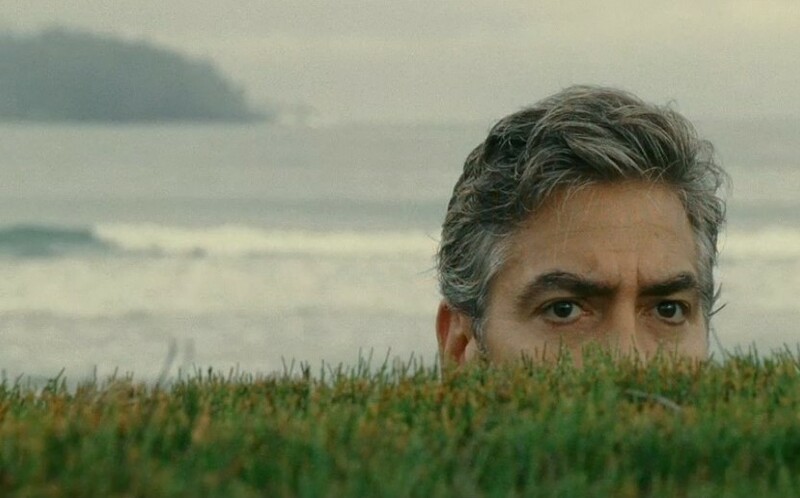 The majority of Clooney’s work happens from the inside out. A transformative achievement for a man who oozes charm in every circumstance and is here fit with Hawaiian shirts under beautifying sunlight. The next revelation of the cast is Shailene Woodley, who, as Clooney’s older daughter Alex, must not only grow up fast but face that fact that she’s known far more than her parents for a very, very long time. At some point in history, the idea that parents know best became dubious. They are not only just as fucked up as their teenager who sleeps with older men, takes drugs, and skips out of boarding school, but in all their repressed lost hope they tend to be far worse. Woodley plays this dynamic with sophistication, seamlessly floating from the more mature mother figure to maintaining a sense of teenage stupidity. This type of turn will put Woodley firmly on the map. Payne’s direction has many of the shades of his past work such as objective framing, character set-pieces, thick dialogue and deceptively plot-revealing voiceover. From a thematic perspective Payne’s writing has never been more spot on. Payne doesn’t feel bad for these characters like he did in About Schmidt and he doesn’t have any interest in laughing at them like he did in Sideways. Instead, there is a maturity to this material. We aren’t just observing these characters as they ride the tones of the plot but we are these characters. We must feel that pain of hearing someone cheated on us and the embarrassment of knowing that whatever way we deal with it will be exactly the wrong way. But we’re mad as hell so we’re going to do it anyway. Never once does a character come out above the fabric of the movie to make a hyper-aware point about humanity or society. These people are too entwined in the craziness of their own lives to think about what it all means. Through this tunnel-vision, we too must take a look at our own selfishness. Ultimately, humans, like all species are just a bag of bones. Everything else, outside of the biological, is a set of values and meanings that have been ingrained in our minds and forced upon us by the stubbornness of our own psychologies. People need positive connections with other people and a reasonable sense of control over their surroundings to get through the day happily. 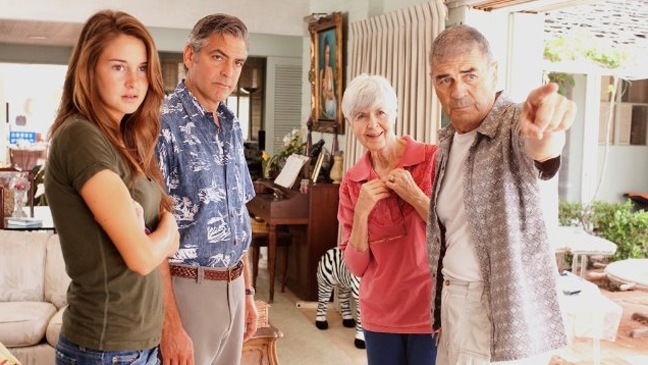 In The Descendants, the characters have these necessities wrenched from them, causing a tornado of chaos to spawn until finally each character is forced to look at what good they have in front of them. The results aren’t sappy. In fact, they’re often merciless sad. But that’s life, in all its joy, love, humor, and pain. This entry was posted in Uncategorized and tagged alexander payne, cinema, critical talk, george clooney, oscar hopeful, oscars, shailene woodley, the descendants. Bookmark the permalink. have someone cosign the credit for you. Thanks for your post. suggest him/her to pay a quick visit this weblog, Keep up the pleasant job.